In the past it was the customary for women of all social ranks to weave custumes for their loved ones. This laborious process begins with reeling the yarn and conveyed in the song and movements of the spool and frame. 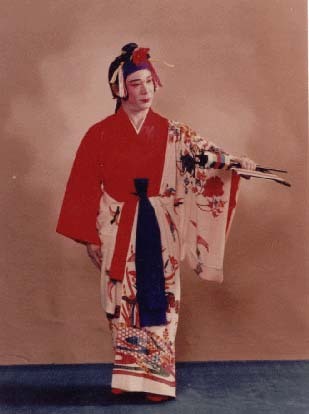 Dancers wear "bingata" kimono.